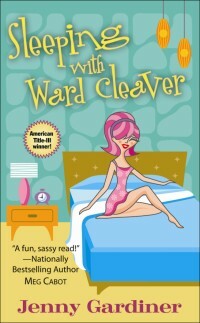 Deb Jenny’s novel, Sleeping with Ward Cleaver, got two excellent early reviews this week. Here and here. 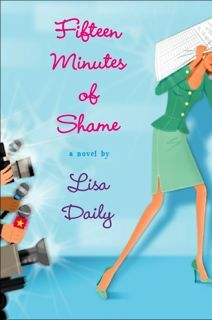 One reviewer called it the Bridget Jones’s Diary for married and harried moms. Deb Lisa Daily will be jetting off to NYC this week to participate in a cover shoot for Woman’s World magazine. Why, you might ask? Has Woman’s World begun to feature new authors? Nope. Lisa participated in a Woman’s Day exercise plan and lost 5 pounds the week after Thanksgiving. (Which was good, because she GAINED 5 pounds the week BEFORE Thanksgiving.) Lisa will be blogging all about her experience on Wednesday, Dec. 12, here at the Debutante Ball. Deb Founder Anna David has sold her novel, Kept, about a journalist who, in working on an investigative feature about kept women in Hollywood, experiences what it’s like to be “kept,” to Harper. Congratulations to Anna! Thought you might enjoy watching these little YouTube videos Meg Cabot just released. They’re quite funny and a departure from your run-of-the-mill book trailer. See here, and here, and here, and here.